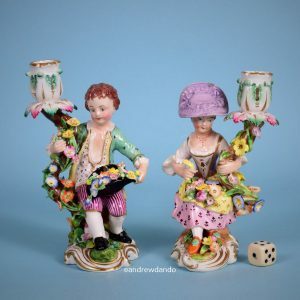 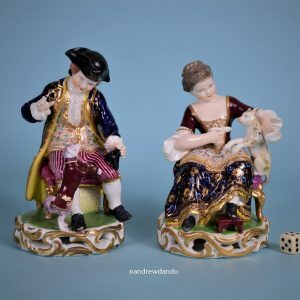 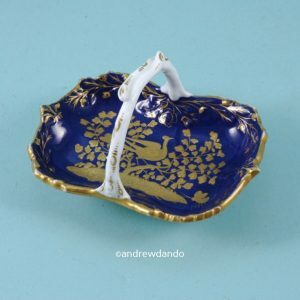 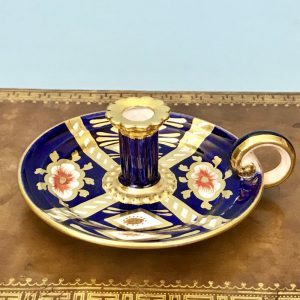 English Porcelain Blue Ground Miniature Chamberstick. 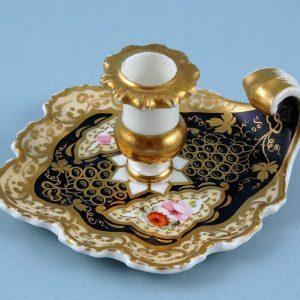 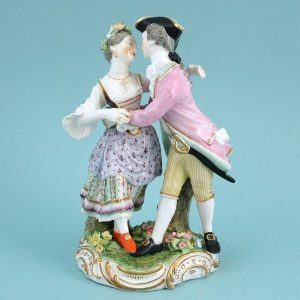 Davenport porcelain ‘Imari’ style miniature chamberstick. 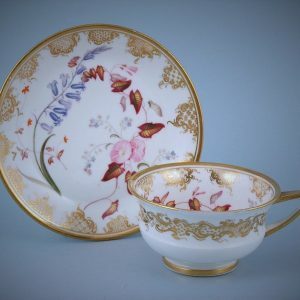 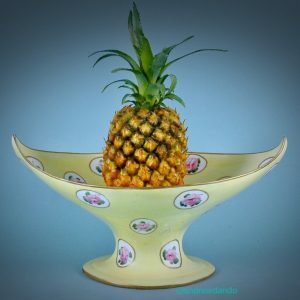 English Porcelain Tea Cup & Saucer. 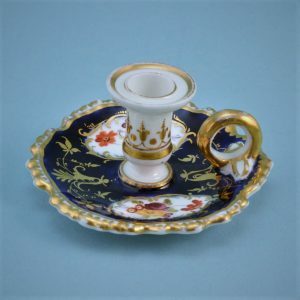 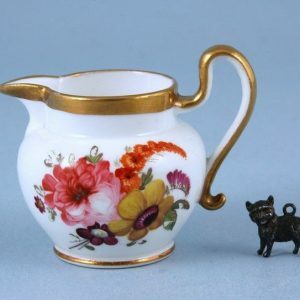 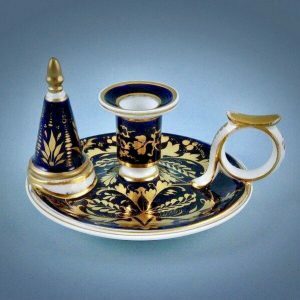 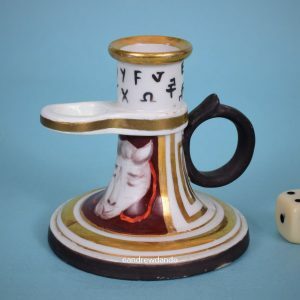 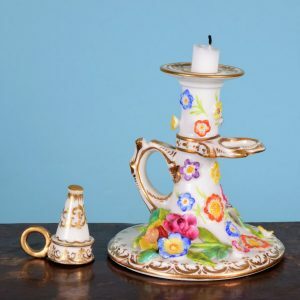 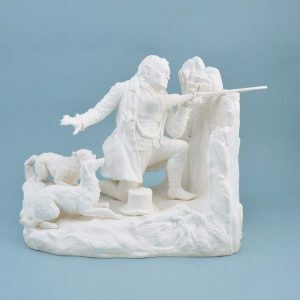 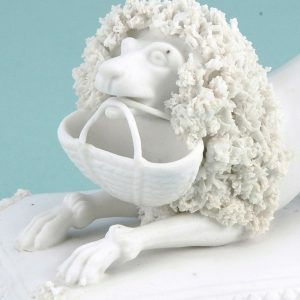 Derby Porcelain Chamberstick with Original Snuffer. 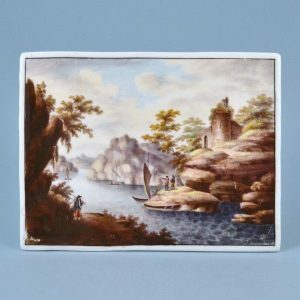 English Porcelain Plaque – Hand Painted River Scene.